Turn up your decks to eleven! 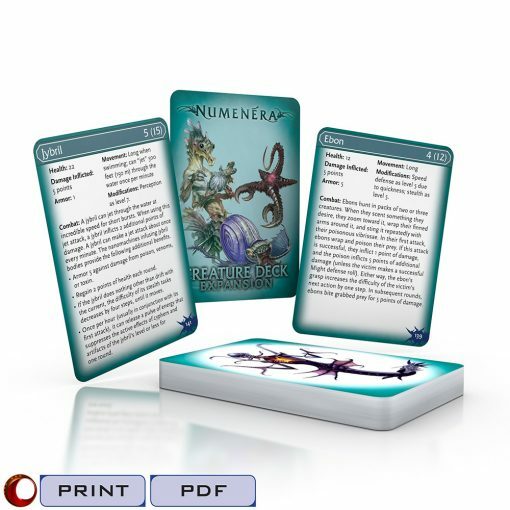 The Numenera Creature Deck and Numenera Cypher Deck are incredible resources for GMs, saving valuable time during game prep and at the table. 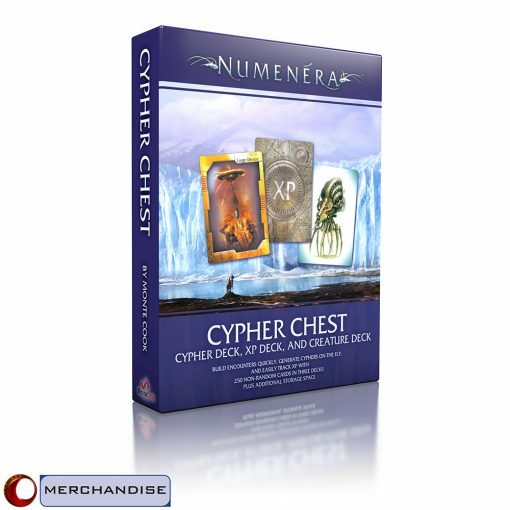 And both have been followed by sequel decks (Numenera Creature Deck 2 and Numenera Cypher Deck 2), doubling the number of creatures and cyphers available. 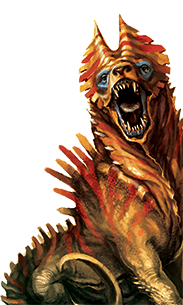 With the Numenera Cypher and Creature Deck Expansion, these decks go up to eleven. 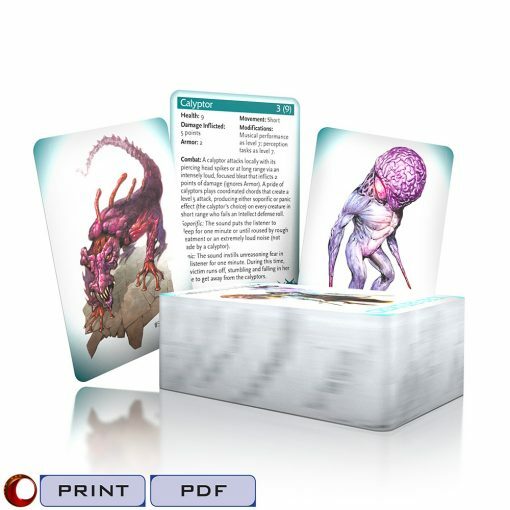 You get 30 additional creature cards, and 30 additional cypher effect cards, fully compatible with the original decks and their sequels. 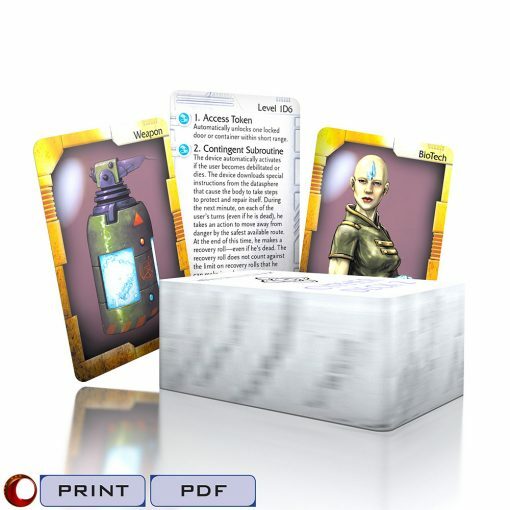 Combine them, or build your own random generators by choosing cards from each title to build your own custom decks. 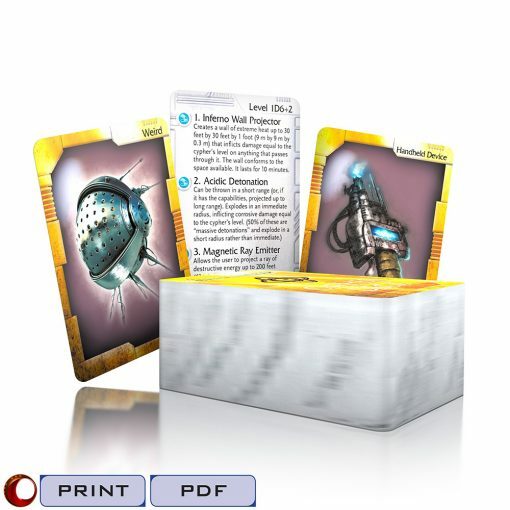 With this expansion, you have almost 230 creatures and cypher effect cards to choose from! 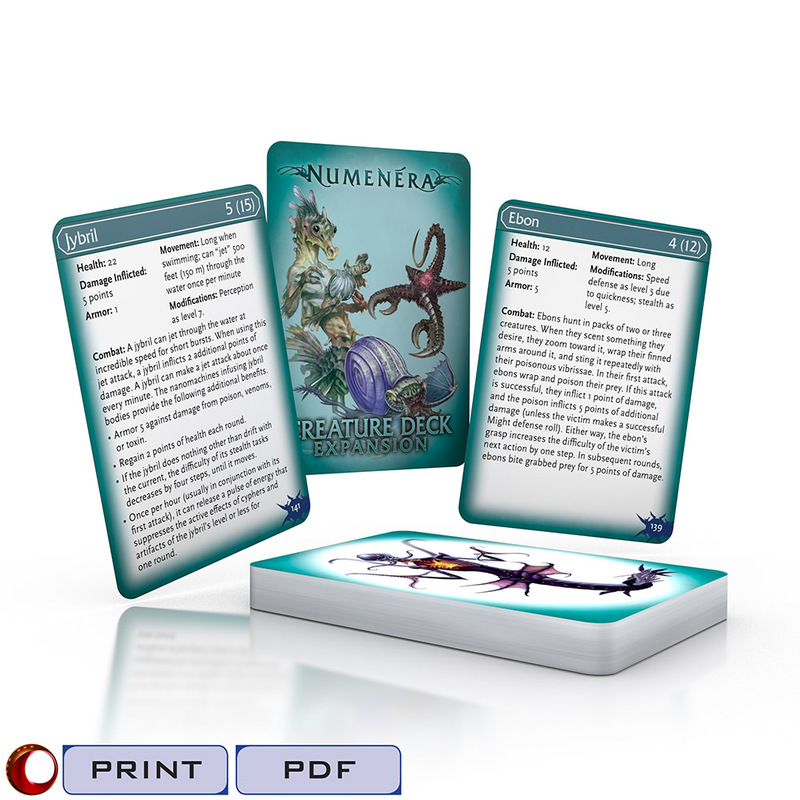 PDF purchasers: To print your Numenera Cypher and Creature Deck Expansion, set your double-sided printer to short-edge binding and print on a cardstock material. Then, with a sharp utility knife and straight edge, use the crop marks as guides to trim the cards apart. If you don’t have a double-sided printer, print the pages individually and then glue them back-to-back with a thin, even coat of adhesive. Before glueing, hold the back-to-back sheets up to a light source to ensure they are lining up correctly. The gutters between the cards give you a little bit of leeway if the two sides do not line up exactly.